It sometimes happens that I write a post that I think is beautifully focused on one point of usage, and then I receive a slew of emails faulting me for misrepresenting the topic. That’s what happened with a post on the modal use of used and use to express habitual action in the past. He USED to go to the game on Friday. He USE to go to the game on Friday. All I intended to point out in my answer was that used is the correct choice for the examples given, but that use is correct when it follows the negative didn’t. He did use to go to the game on Friday. He never used to go to the game on Friday. Person A: He didn’t use to go to the game on Friday. Person B: He did use to go to the game on Friday. I apologize for my sweeping statements about positive and negative. Can we say “usedn’t to” instead of “didn’t use to”? If you live in the UK or some other place where this expression is common, go ahead and use it. If you say it to an American speaker, you’re likely to get a puzzled look. The strictly correct negative form of used to is used not to, which can be shortened to usedn’t to: “You used not to (or usedn’t to) mind if we came in a little late.” This often sounds rather formal, so that did not use to or didn’t use to (but not didn’t used to) are generally acceptable in informal speech or writing. Likewise, the traditionally correct negative question form used you not to..? or usedn’t you to..? is often replaced, more informally, by didn’t you use to..? If neither of these options seems acceptable, you used to…, didn’t you? can be used. What is your authority for this? My usual authorities are the OED, Merriam-Webster Unabridged Dictionary, and The Chicago Manual of Style. 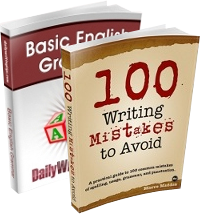 This time, however, I relied for the most part on British and American grammar sites that target English learners. BBC: When talking about things that we did in the past but don’t do now we can use the expression used to. The negative form, to talk about things which we didn’t do in the past but do now, is didn’t use to. Oxford Learner’s Dictionaries: Except in negatives and questions, the correct form is used to: “I used to go there every Saturday.” To form questions, use did: Did she use to have long hair? The negative form is usually didn’t use to, but in British English this is quite informal and is not usually used in writing. English Stack Exchange: Except in negatives and questions, the correct form is used to: “we used to go to the movies all the time” (not we use to go to the movies). However, in negatives and questions using the auxiliary verb do, the correct form is use to: “I didn’t use to like mushrooms” (not I didn’t used to like mushrooms). Finally, several readers wondered about the pronunciation of used to and use to. You’ll find a thorough treatment of British and American pronunciation of these forms at the Oxford Learner’s Dictionaries site. Thanks to all of you for your comments. 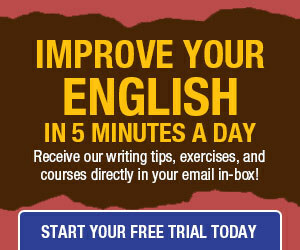 The first verb indicates the tense, and the second verb is in the bare infinitive. I used to eat dirt = I did use to eat dirt. I never used to burp in public = I did not use to burp in public = I didn’t use to burp in public. Does that sound about right, Maeve? So, I’m an ESL speaker, so I am not sure about this, but from what I’ve learned in English grammar in school, this originally sounded like a fairly straight-forward reason to use “use to” vs “used to” in sentences that have the variation of “do”. We’ve learned that any verb that follows the “did/do/does/don’t/etc” form, is never past tense. For instance, “I went to school.” vs. “Did I *go* to school?” or “He ran 2 miles” vs “He does *run* 2 miles” etc. I thought that was the reason for using “use to” in “he did use to go to the game”. Is that not the case to say it is because of the variation of “do” in there?